Sydney Shop Girl: Wednesday. Lots of Books and Movies to Discuss. Just between you and me but I'm ready for winter now, thanks. It's felt a bit strange waking up to dark skies but driving to work in cotton cardigans while the puffer jackets and wool coats that are usually out by this time of the year get left behind at home. Having said that, I think the weather's turning and perhaps by this time next week, I'll be huddled in the office wrapping my hands around my morning mug of coffee to warm them up. Speaking of work, I've been back at work for long enough a week now, marveling at the small things. Like the wonder of the railings in the car park that don't scratch the paintwork on your car no matter how often you accidentally reverse into them (with the guidance of your parking sensors, no less). And these special issue two dollar coins. Were they really made with the blue inlay or did someone who was handy with a blue biro get to work on mine? Things haven't been much more exciting at SSG Manor, I'm afraid. Unless you count the time I spelled 'Ikea' in a bowl of Ikea Kex cookies. Yeah, life isn't that exciting around these parts. Impromptu book and movie club post, anyone? There are a few long weekends coming up across Australia so I thought I'd write about what I've been reading and watching in case you were looking for things to do with your couch potato time. First up are a couple of memoirs I've been reading. I never thought I'd find reading a prison memoir both hilarious and poignant, bleak yet life affirming it's happened. 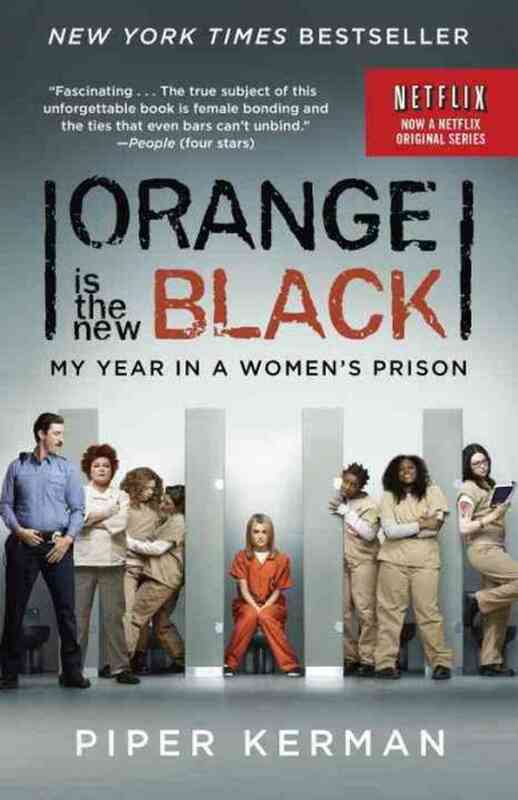 'Orange is the New Black' is Piper Kerman's 2010 memoir about her 11 months in a federal correctional facility in Danbury, Connecticut. The memoir was the basis for a television series which is into its second season. Die hard fans might like this link about the differences in plot and characterization between the book and the series. Piper Kerman is a blonde Bostonian from a family of academics, doctors and teachers. A graduate of Smith College, she had a world of privilege and opportunity at her feet on graduation. The world was her oyster and she was determined to find its more bohemian pearls as she embarked on a rudderless journey around the world. She followed her lover Nora to Bali and knowingly embraced the world of drug trafficking that she was introduced to. Intrigue, danger, more travel and 'adventure'. Piper found it in spades. Then Piper grew up and left that world behind - or so she thought. She effortlessly returned to the respectable world of her peers and family, started to get direction in her career, fell in love and then got arrested for drug trafficking. The kind of girl no one thought would ever end up in jail, despite her crimes, ended up serving 11 months and in the process discovering more about a world that she had previously only known through newspapers and television. 'Orange is the New Black' isn't just a well written and humorous 'tell all' book about the tedium and frustrations of being incarcerated, it is also a novel about relationships and new beginnings. Through her time on the inside, Piper came to appreciate the compassion and humanity of her fellow inmates. In turn, she was able to help them using her academic background. Doing time gave Piper a deeper appreciation of everything - the things and people she left behind on the outside but also the small joys on the inside that she and her fellow inmates created for each other. Life as an inmate had such a profound effect on Piper that she now serves on the board of the Womens' Prison Association. Alida Belair's memoir 'Out of Step: A Dancer Reflects' (I think it's only available on Kindle via Amazon) looks at life in a different kind of 'prison' - that of the world of professional ballet. Belair is the daughter of Jewish refugees who migrated to Australia from France in 1949 when Alida was 5 years old. It was in Australia with its opportunities that Alida discovered that ballet was her outlet for creative expression. She wasn't a natural student at school but ballet was different. Ballet was beauty, poetry, self expression and joy. Alida's parents (and her school) were very supportive of her talent and Alida found herself performing professionally by the age of 11, under the tutelage of Madame Borovansky, a legendary and imposing figure in the history of Australian ballet. Unfortunately, with the rapid rise of Alida's star came immense pressure. To practice to perfection, to be the best and also to be as thin as possible. With this last point proving to be the one thing that Alida strived for even more than perfection in her dance. Her memoir is quite frank about her battles with the disease - both the physical and the emotional. Anorexia nervosa wasn't a widely acknowledged pychiatric illness in Alida's youth so despite seeing numerous medical specialists, she never received a diagnosis or appropriate treatment. With regard to her career in ballet, Alida's memoir takes her readers to London, Moscow and parts of the United States as she struggles to define herself in the fiercely competitive and temperamental domain of professional ballet. Ultimately, her anorexia sapped her of the energy and resilience to continue dancing at the level required at the top of the game and Alida retired from ballet after a relatively short professional career. 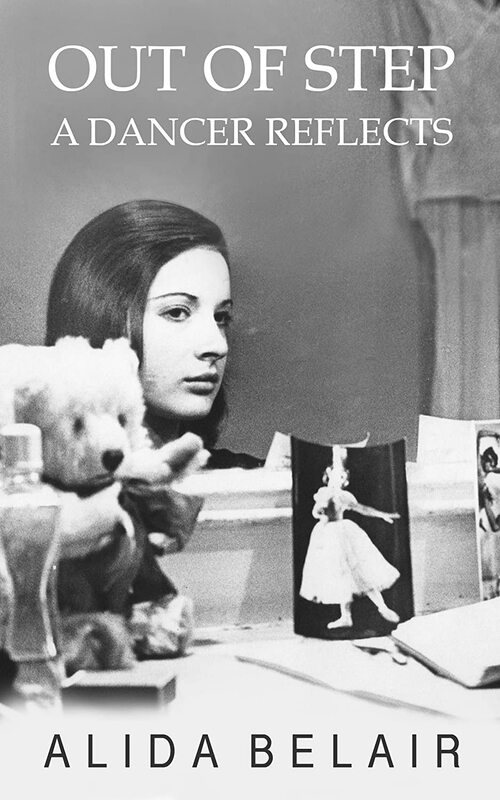 At times, 'A Dancer Reflects' was frustrating with respect to the sheer amount of detail of Alida's performances and experiences at the hands of various highly respected teachers. They all seemed to misunderstand her in some way which would then drive her to more self destructive behaviour. It had been noted in some reviews that there is a sense that perhaps Alida was a small fish in a big pond at times, especially when she attempted to take her career to the global stage. Whatever the objective standard of Alida's ballet was compared to the rest of the world, her recollection of the final months of her career left me feeling cringing on her behalf. Returning to New York as the star returning to her loyal fans, the impeccably dressed wannabe principal dancer is humbled to find that her place has been usurped and that she is no longer flavour of the month. Lots of sobering talk so far in this post... let's do a brief live cross over to my laundry hanging out in this glorious sun. Those Daiso monkey pegs always make me smile. Even when I have to hang and then collect the washing. As promised, I did a lot of movie watching on the plane. These are my favourites and they're all on DVD as of now. The more I watch Leonardo DiCaprio, the more I realize just how commanding his performances are. He's one of the rare teen heart throbs who's skill as an actor has developed with maturity and a clever choice of roles. In the Wolf of Wall Street, he is Jordan Belfort, the cocaine addled, smooth talking and insanely rich (for a time and what a time) stockbroker. DiCaprio captures every nuance of the spectacular rise and train wreck fall of a man who prized good times only a little more than he prized money. Jonah Hill impressively matches DiCaprio in the drug frenzied interactions that define their characters' relationship. It's hard to remember that they're 'only acting'. Under Martin Scorcese's direction, the New York City of Wolf is all about over the top eighties music and fashion. Designer power suits, blingtastic labels and big hair clash with the quiet and discrete old money wealth of the Establishment that Belfort takes on. Margot Robbie's performance as Belfort's second trophy wife is also justly deserving of the critical praise it has received. Blue Jasmine is Woody Allen's most recent film and my favourite of his so far. Cate Blanchett is Jasmine, the impeccably clad, Birkin toting wife of Hal (Alec Baldwin), a big time New York property developer. The couple lead a gilded life circulating between The Hamptons and Manhattan. Things unravel when the illegal side of Hal's dealings are revealed and he commits suicide in the fall out. Unfortunately, Jasmine's sister Ginger and her former husband Augie were taken in by one of Hal's projects and lose their life's savings in the process. The financial strain ends their marriage. With no where else to go and being shunned by her former socialite friends as she sold shoes to them, Jasmine finds herself, her Birkin and a key edit of her wardrobe slumming it with Ginger and her new man in a modest San Francisco apartment. Jasmine is a woman barely holding on. She's brittle and her tenuous grip on reality owes more to her steady supply of sedatives and alcohol then any emotional resilience of hers. Jasmine is far from the milieu she is accustomed to and poorly equipped to provide for herself financially. She holds dreams of being an interior designer but that would involve learning about computers and completing the adult class she is struggling with. Jasmine's desperate financial situation brings her to her senses and swallowing her pride, Jasmine finds herself as the new receptionist of a lecherous married dentist. In a typical Allen plot twist, Jasmine meets Dwight at the party of a classmate from her computer class. Dwight is a divorcee with political aspirations who conveniently needs an interior designer to help him furnish a new house he bought. Romance flourishes between Jasmine and Dwight but just as it looks as if Jasmine will be returning to the lifestyle to which she is accustomed, her past confronts her in a chance encounter. 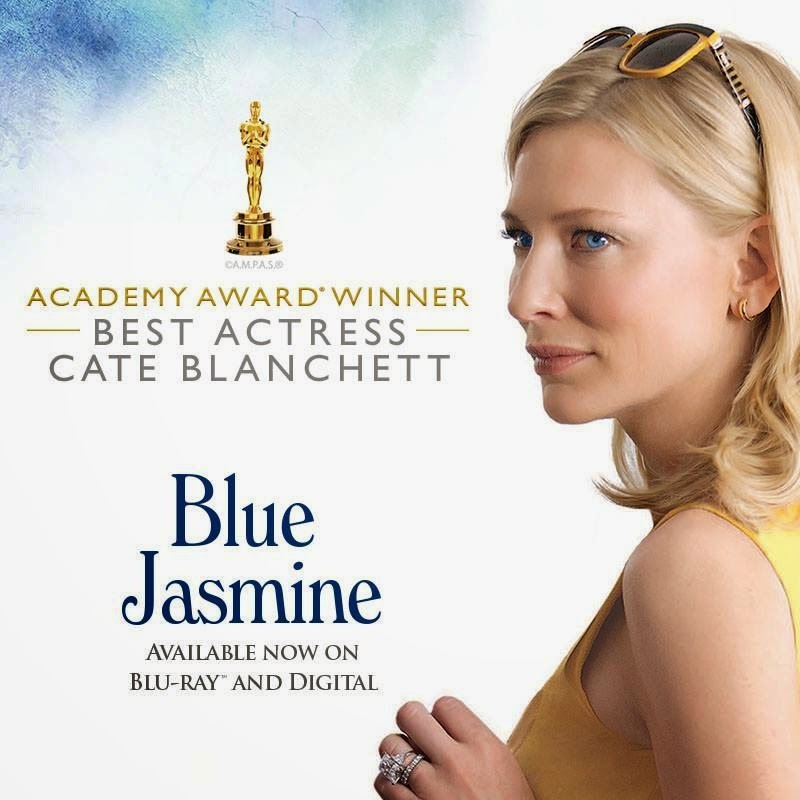 Cate Blanchett won numerous awards for her portrayal of Jasmine, including an Academy Award. Like DiCaprio as Jordan Belfort, Blanchett inhabits the role of Jasmine. All the audience sees in both these performance are the characters, not the highly recognizable faces of actors with global fame already behind them. The last film I'd like to mention is 'Saving Mr Banks' - an interpretation of the tempestuous working relationship between Walt Disney (Tom Hanks) and Pamela Travers (Emma Thompson) as they created a Disney version of Travers' Mary Poppins novels. It was fitting that I saw this on the plane home from Disney World with my Minnie ears tucked in my suitcase and a camera full of Magic Kingdom photos. In addition to protraying the Disney and Travers dynamic, a series of flash backs to Travers' childhood provide the back story to some of Travers' idiosyncracies. We learn that her father (I couldn't recognize Colin Farrell), though loving and an imaginative storyteller to his adoring daughter was also an alcoholic who could barely provide for his young family. On his death, the young Travers retreated to a world of make believe as some sort of order is restored to her life with the arrival of her Poppins-esque Aunt Ellie (Rachel Griffiths). Despite the sadness of Travers' early life, the film is just beautiful. The contrasts between rural Australia, England and the glamour of Los Angeles make the film a visual feast. Highly recommended for a Sunday night when you need a break from reality television! Apologies for the very, very, very long post. Have you seen any of these films or read the books I reviewed? Thoughts? I am surprised that we have been watching the same things! Season two of Orange is the New Black starts on Netflix here next month and we watched Saving Mr Banks and my friend and I just re watched Blue Jasmine....loved the wardrobe that Kate wore too! Sally Hawkins was brilliant as her sister...I don't think Woody Allen has ever made a bad film. Did you watch House of Cards? Chilling storyline but amazing acting by Spacey and Robin Wright. I must watch House of Cards. Heard so much about it. I absolutely LOVED Wolf of Wall St! Leo is definitely on my 'top fav actors of all time' list! And I loved both the TV show and the book for OITNB, although they are very, very different. So many completely different characters, so many things happened in the tv show that never happened in the book. I am intrigued now about the series of OITNB, M! The local VideEy ATM has series one - will give it a go. Mica, you will love the clothes on Blue Jasmine! Gonna have to read orange is the new black. I have found a few good reads via your blog. HRH cate is magnif as jasmine. Not a fan of Leo and his movie was overlong. I am a Leo fan in spite of myself. He's made some canny film choices of late. He and J Timberlake are surprise fave actors of mine.